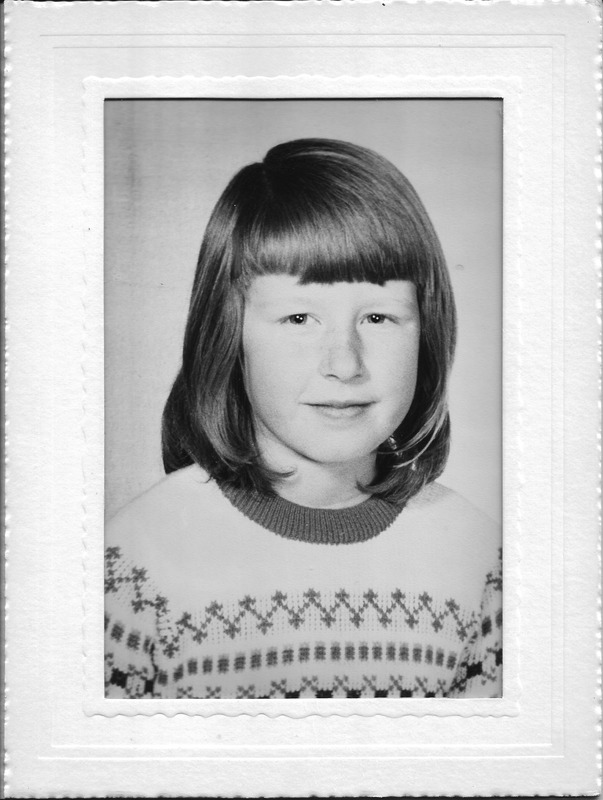 I’ve been sorting through some old photographs, trying to make some sort of order – do I keep them in date order, put them in groups – weddings, places, schools? At the moment I am scanning them into my laptop, where I can copy them into various folders. It’s taking ages! So every few hours I stop and really look at a photograph. This morning it was this one of Dad’s class at school. 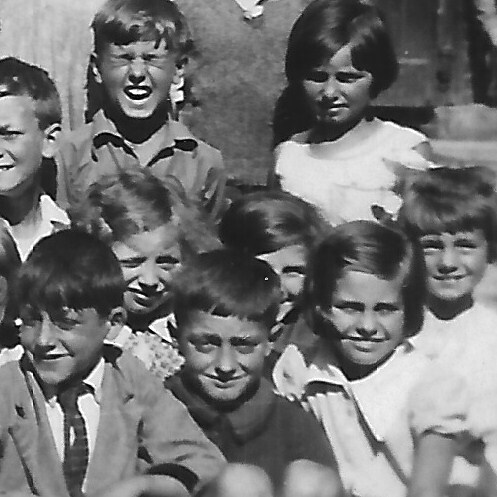 A couple of things stood out to me, one was the date on the back of the photograph – 3rd of August 1933. Ever since I can remember (which takes us back to the early 60s) August has been the school holidays. 6 weeks off for the summer, from late July until early September. The other thing is the informal gathering of the children. Perhaps it wasn’t a school day, maybe they’d got together for some sort of holiday club, but they were really enjoying themselves! It was obviously every man/child for themselves when it came to ensuring you would be in the finished shot! Some did better than others. 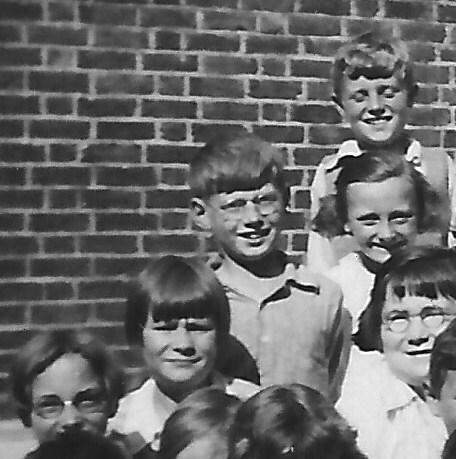 The girl in the middle got lost, while the boy at the back pulled a funny face. 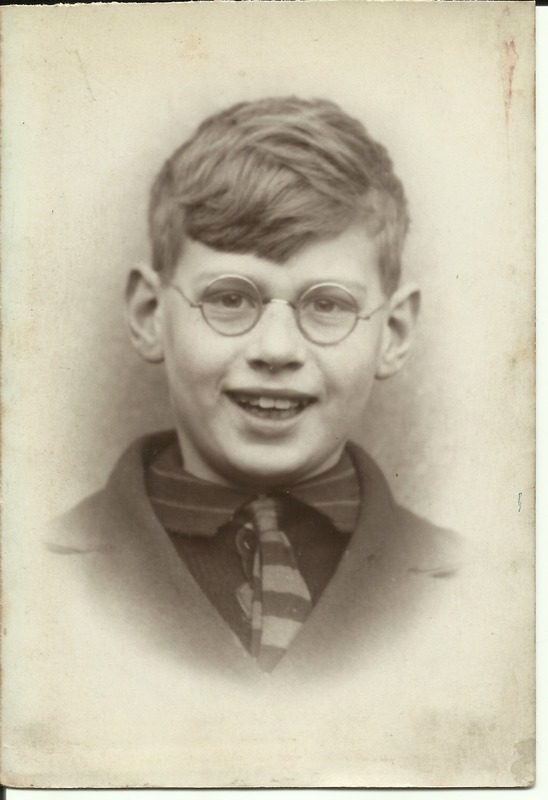 Dad would have been ten years old, and looking at a photograph from my school days when I was ten, there is quite a difference. We are all lined up nicely so everyone will be included in the photo, legs and arms folded, sitting up straight, no pulling of funny faces. 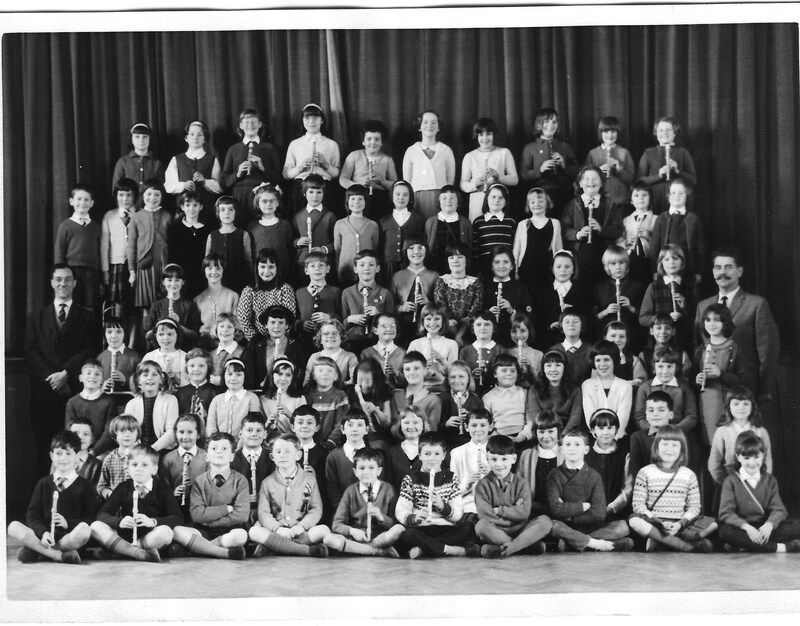 The photo above is the School Choir and recorder group. Below are individual school photographs from the same time. 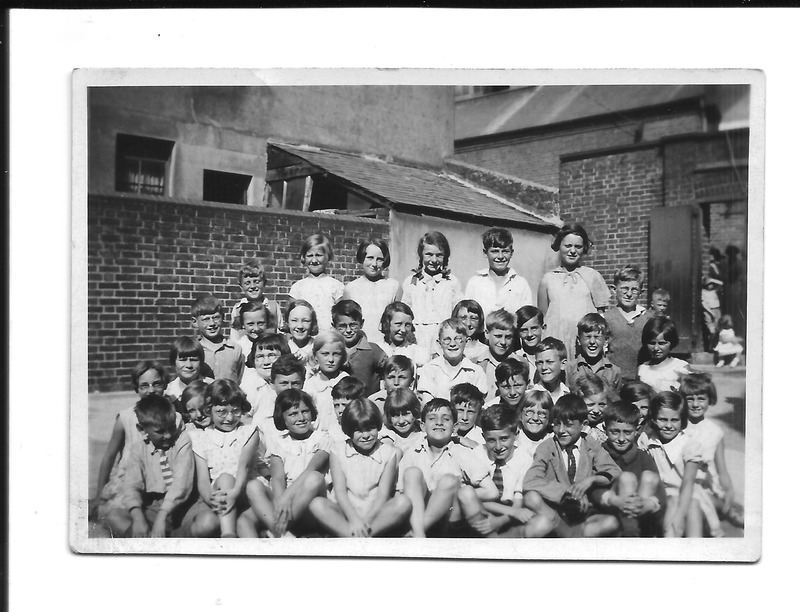 This entry was posted in DINNIS, Gordon Charles Dinnis and tagged Park Street School, recorder group, School Choir, School photographs, Woodingdean Primary School. Bookmark the permalink.